According to the Bovespa Index, Taurus' shares fell by more than twenty percent on Tuesday after President Bolsonaro signed decree easing gun ownership rules. 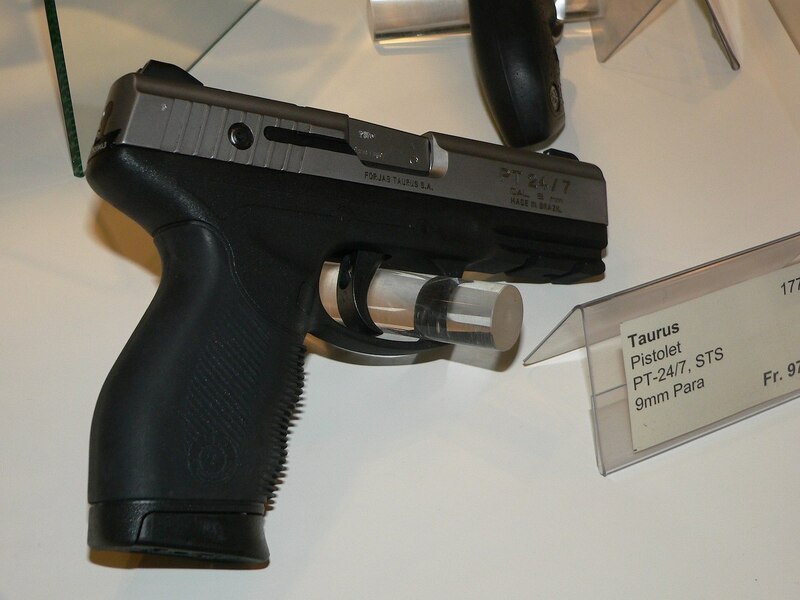 RIO DE JANEIRO, BRAZIL – Stock prices for Brazil’s main firearms manufacturer, Taurus, registered a sharp decline on Tuesday, hours after Brazilian President, Jair Bolsonaro signed a decree that will loosen the requirements for gun ownership in the country. According to the Bovespa Index, Taurus shares fell by over twenty percent on Tuesday opening the day at R$8.86/share and closing down at R$7.03/share. At the opening of the bell on Wednesday, the company’s shares had fallen even further to R$5.89/share. “The people have decided to buy weapons and ammunition and we cannot deny what the people want,” said Bolsonaro during the signing ceremony. The easing of rules in firearms ownership was a promise of Bolsonaro during the 2018 presidential campaign. Due to the promise, Taurus’ shares skyrocketed in the second half of 2018, rising by 180 percent. In the first weeks of alone 2019, the anticipation of the decree led the Brazilian manufacturer to gain almost 46 percent increase in its share. Some analysts say that Tuesday’s decline is a profit-making move, and was already expected. Another factor, say analysts, may be the fact that the government has admitted it is discussing the possibility of opening up the market for foreign manufacturers. “This would be the most credible reason for this move,” economist Jason Vieira of Infinity told G1 news website. Although the decree issued on Tuesday does not reverse the rule that prevents the importation of firearms (for personal defense) which have a similar Brazilian model, Bolsonaro’s Chief of Staff, Onyx Lorenzoni, said the government is studying measures to open the arms market. “This is under study, but we always remember that there should be factories here in Brazil. in most countries this is a conditioning factor for the competition; technology for the country; brings new jobs, investments,” Lorenzoni told reporters. Taurus is headquartered in São Leopoldo (RS), has approximately 1800 employees and exports to more than 85 countries. The company claims to be the fourth best-selling brand in the US market. On Sunday (January 13th), Forjas Taurus reported that it changed its name to Taurus Armas as part of the restructuring process of the company.